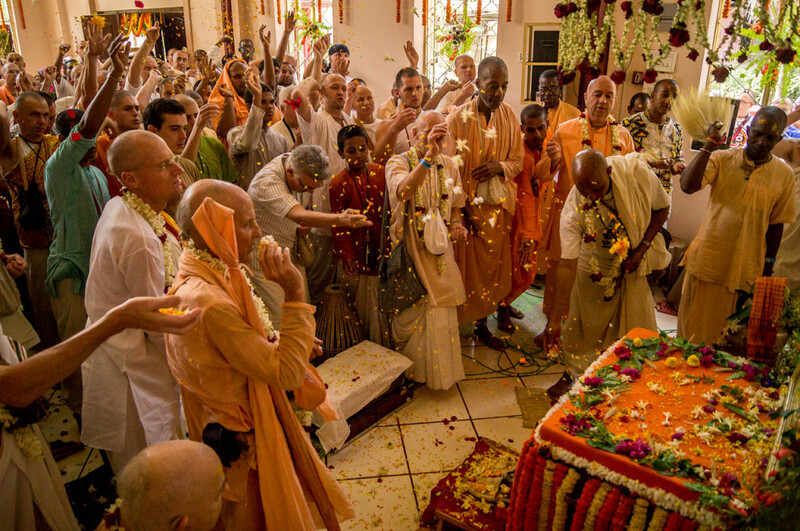 Yesterday we had a grand celebration of HH Bhakti Tirtha Swami’s Appearance in Sri Dham Mayapur. 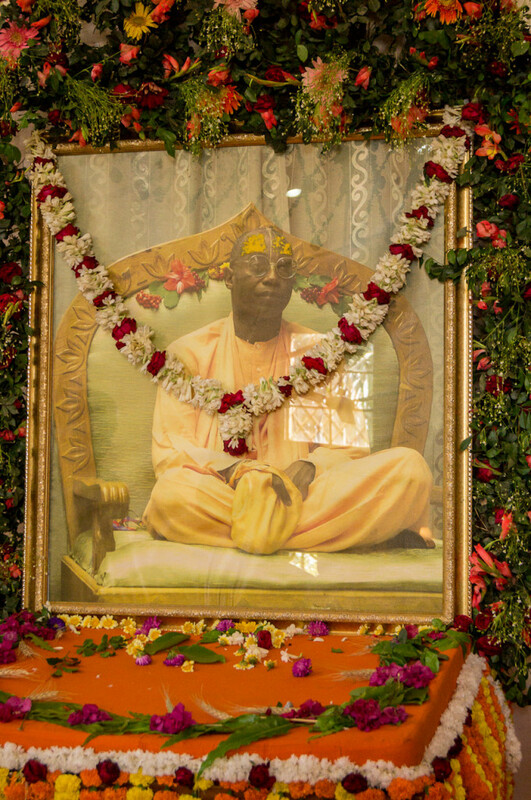 The auspicious occasion drew a large crowd of well wishing devotees, eager to hear glorifications of His Holiness. 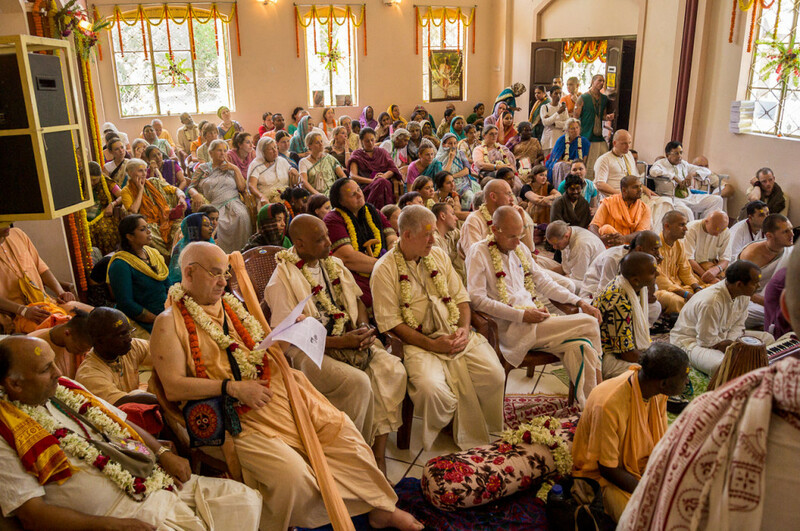 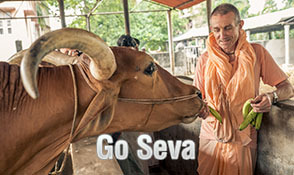 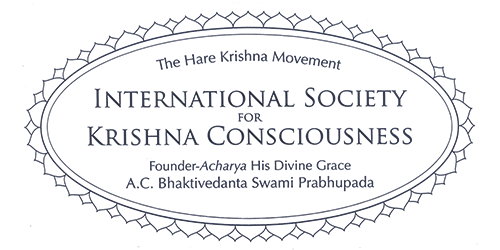 The program was held in the Mayapur community hall and was full to the brim with devotees. 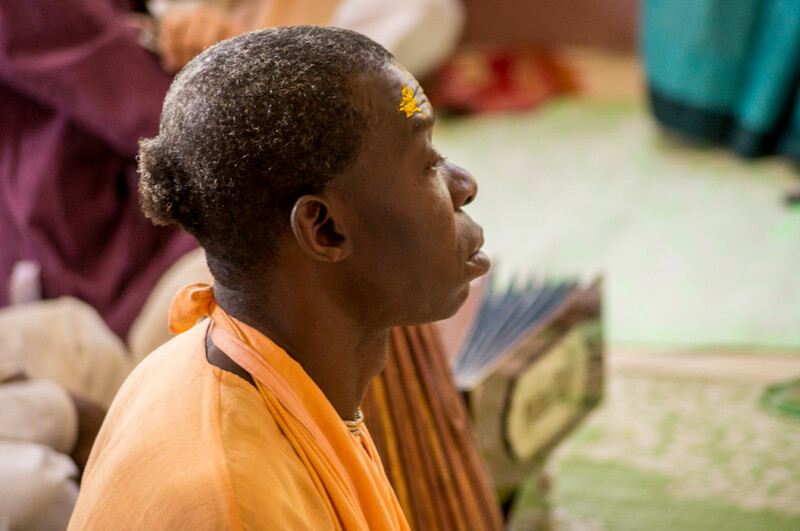 The glorifications could have gone on for ever, as the glories of HH Bhakti Tirtha swami have no end, but time was not on our side today. 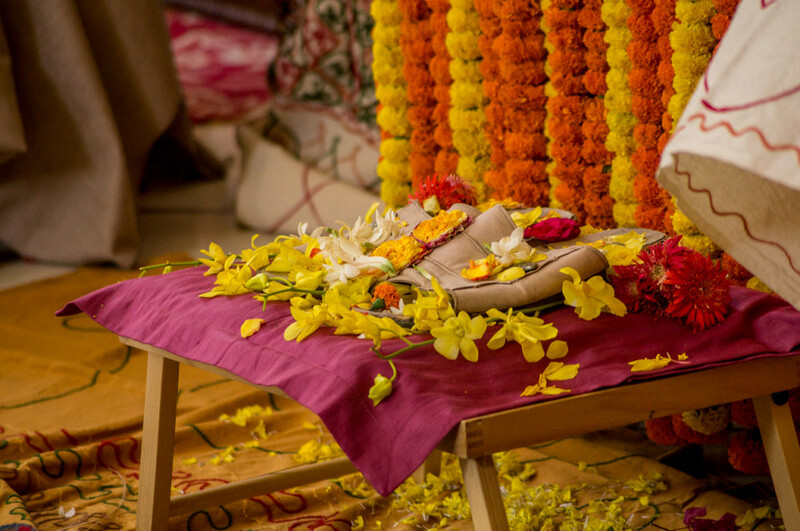 After many god brothers and sisters gave ther heart warming words, everyone gathered to offer flower petals at the lotus feet on Maharaj, while a beautiful version of Guruvastakam was sung lovingly by devotees. 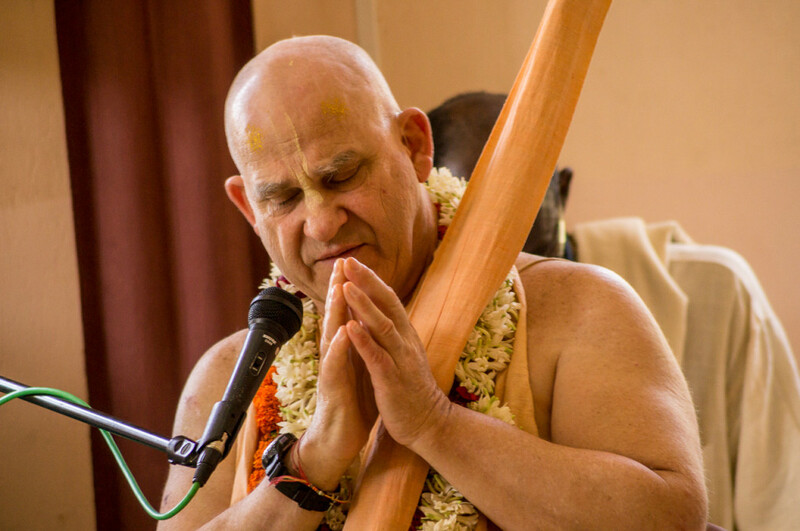 An up-roaring kirtan then ensued with ecstatic dancing is the style of HH Bhakti Tirtha Maharaj. 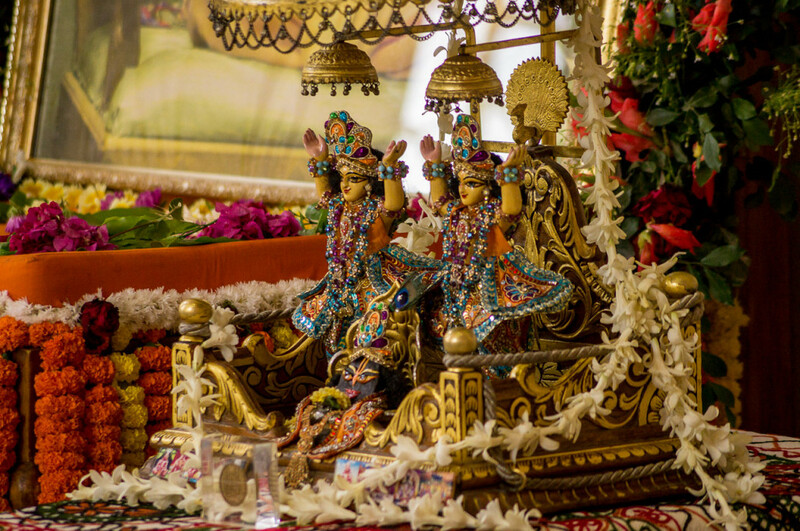 Many preparations of different food stuffs were cooked and offered to Bhakti Tirtha Maharaj, the devotees then arranged the community hall for distribution of of a wonderful feast. 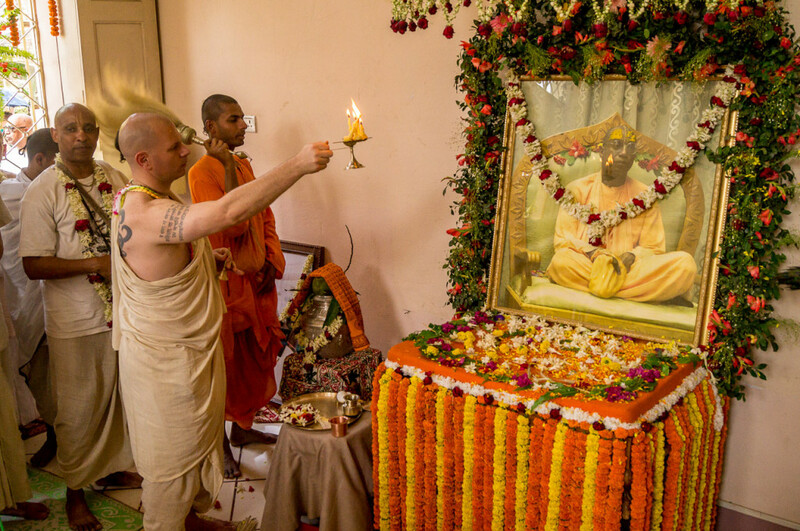 Each year the crowd is growing more and more to celebrate the appearance of this most wonderful of personalities, HH Bhakti Tritha Maharaj Ki Jaya! 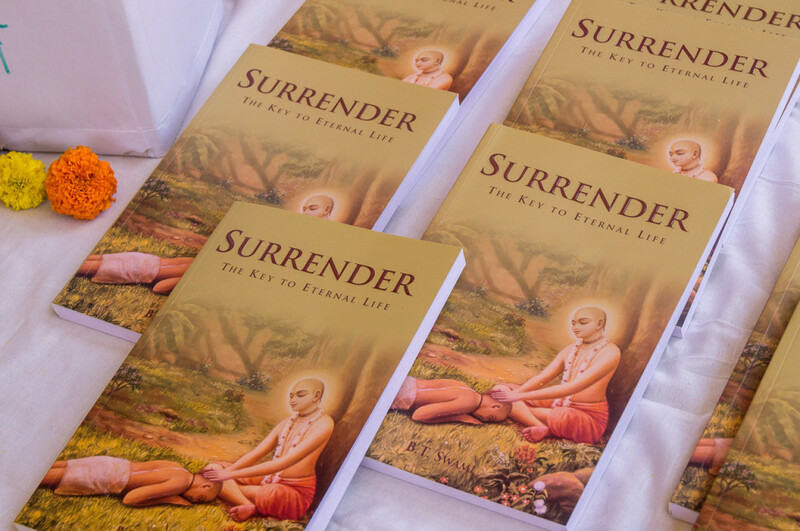 To read more about Maharaj please visit http://btswami.com/ , or purchase the book Black Lotus written by HG Satyaraj Prabhu which beautifully details the amazing life and pastimes of HH Bhakti Tirtha Maharaj.